It’s the most wonderful time of the year, and all around the country families are putting up their decorations and getting ready to have friends over for the holidays. For people who own their own properties, Christmas is a time to really go all out and enjoy themselves. But for people renting, a little more care needs to be taken to avoid the hazards of Christmas. If you’re a landlord and you’re worried about your properties over Christmas, here are 4 things you should remind your tenants about before the Christmas holidays begin. In just under a minute, a set of faulty Christmas tree lights can cause a spark that sets the whole tree and living room ablaze. The fire service reports that they attend around 200 house fires cause by Christmas decorations every single December and begs people to be more careful. As a landlord, the last thing you want is a fire in your property, so it’s worth reminding your tenants to avoid any festive fire hazards like leaving stockings over the fireplace, open flames unattended or running Christmas lights on for too long. Another thing that tends to spike over Christmas is burglaries and thefts. With so many people going away to see families and friends for the holidays, thieves know that houses are left unattended. And while you should never ask a tenant not to go away, you should remind them to take some precautions to keep the property safe. For example, keeping curtains closed overnight, only setting presents out of Christmas Eve and investing in a few timers to keep the lights turning on and off as if someone is still home. You might even want to consider offering extra security measures during the holidays, light installing deadbolts or motion sensitive lighting. As the temperatures start to get lower during winter, the cold and frost can start to take their toll. Plumbing pipes might freeze, drainage lines could clog and flood, or cracks might even appear in masonry. While none of this is your tenant’s fault or responsibility, it’s worth asking them to keep an eye out for problems and report anything if they see it, so that you can get it fixed quickly before it turns into a bigger problem. It’s also worth doing a check of these systems before the weather gets really nasty if you want to avoid your tenants calling you on Boxing day to say a pipe has burst. This is going to be the most difficult one to raise with tenants. 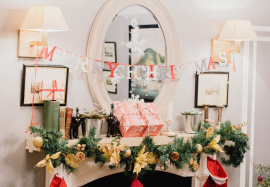 While the others can largely be achieved with a little common sense, asking tenants to keep an eye of their festive guests is a little more challenging. But even so, you don’t want the cost of replacing the carpets because red wine was spilt or muddy footprints have been tracked through. You could do this by turning the reminder into a festive joke. You could let them know that Santa should remove his boots before coming down the chimney, or that he needs to be careful with his sherry (we all know he’ll be tipsy by the time he arrives). 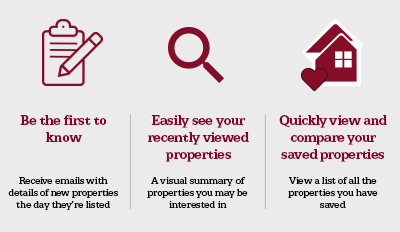 Of course, if you don’t want the hassle of doing these reminders yourself, why not ask your estate agent to do it for you? At Northwood, we pride ourselves on the quality of our tenants, and are always in communication to ensure tenants understand their obligations and keep your property in good order. So if you’re looking for a reliable estate agent over Christmas, just get in touch with Northwood today.